The best movies we've seen in the first quarter of 2018. In its first three months, 2018 at the movies has gotten off to quite a start, meaning we already have a top 10 that we'd be happy with at the end of most years. Notable movies that didn't quite crack our top 10 include Aussie western Sweet Country; Todd Haynes' visually sumptuous Wonderstruck; indie horror Pyewacket; Irish prison drama Michael Inside; bittersweet comedy Funny Story; smart teen thriller Thoroughbreds; activism epic 120 Beats Per Minute; Russian social drama Loveless; Oscar winner A Fantastic Woman; and Indonesian revenge drama Marlina the Murderer in Four Acts. We said: "A Quiet Place may be headlined by one of Hollywood's biggest stars, but it's a b-movie of the best kind, one that gets into its advertised premise quickly, does its job of inching the viewer closer and closer to the edge of their seat, and gets out without a fuss, leaving us thirsty for more adventures in its world, and more from its talented director." We said: "Outside In is the latest in a recent wave of great women directed movies, and it's another one that makes a mockery of the reductive Bechdel Test, a metric it fails while giving us a couple of the most well rendered women we'll see on screen in 2018." We said: "In You Were Never Really Here, Lynne Ramsay has managed to translate her singular vision into a complex, but compelling, feature film." We said: "Western is a compelling tribute to our ability to find a soulful connection that transcends the obstacles of language and culture." We said: "The Square is unlike anything you’ve ever seen, and you’ll feel both wiser and a little bit more pleasantly insane after watching it." We said: "There was a time when American directors like Sidney Lumet and Alan J. Pakula made movies like this, films that drew us in with the bait of a thriller plot and reeled us onto the shore with compelling characters and insightful subtext." We said: "The magnum opus of Alex Ross Perry's still relatively burgeoning career, Golden Exits is a film about ordinary people who don't really do anything, and watching their inaction is as beguiling as cinema gets." We said: "Despite such a heady exploration of how awful people can be for each other, Phantom Thread is an undeniably romantic yarn, one which never judges its protagonists for their extreme behaviour towards each other, and ultimately it leaves us content in the knowledge that two difficult but fascinating and compelling characters have found their equal." We said: "A loving tribute to the sort of rural folk American media tends to portray with condescension at best, contempt at worst." 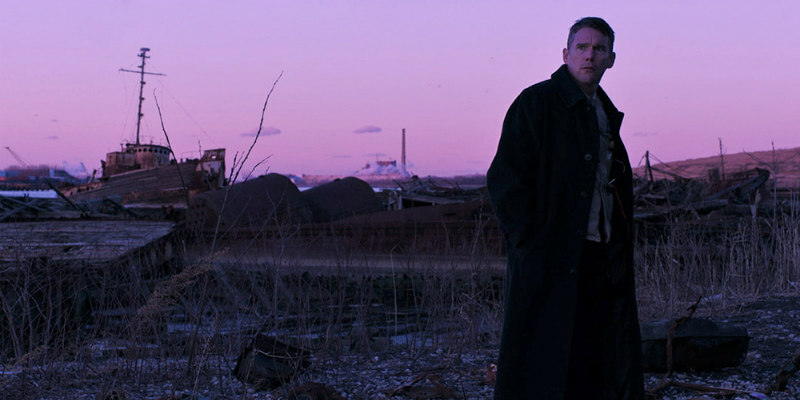 We said: "The contemporary audience for Paul Schrader's work may be a fraction of that of his '70s prime, but his words still affect us, perhaps now more than ever. As long as he keeps penning sermons, we'll keep listening."